Railpictures.ca - Michael Berry Photo: To the left a deadhead movement is heading downtown with RBRX 18523 (in a new completely grey paint scheme) in the lead. On the right, AMT train 191 makes its station stop at Montreal West before departing westwards, eventually to St-Jerome. | Railpictures.ca – Canadian Railway Photography – photographie ferroviaire Canadienne. Caption: To the left a deadhead movement is heading downtown with RBRX 18523 (in a new completely grey paint scheme) in the lead. 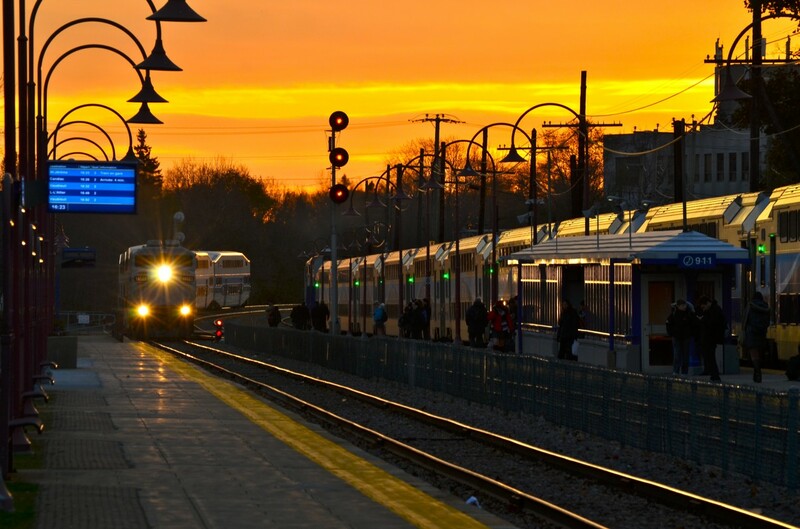 On the right, AMT train 191 makes its station stop at Montreal West before departing westwards, eventually to St-Jerome. Congratulations on being voted Editors Choice by our team of moderators! Great work again.